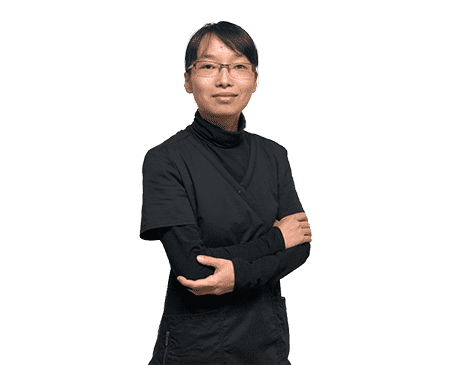 With a patient-centric approach that combines traditional and modern medicine, expert acupuncturist April Zhang, LAc, is known for her personalized alternative treatment plans. April offers flexible scheduling for patients seeking alternative medicine therapies at Peak Medical in Berkeley Heights, New Jersey. April earned her master’s in acupuncture from Shanghai University of Traditional Chinese Medicine. To further her expertise, April went through additional training and became a board-certified diplomate of oriental medicine through the National Certification Commission for Acupuncture. She also specializes in Chinese herbal medicine. With her focus on Traditional Chinese Medicine and a passion for helping patients feel their best, April works with patients to find treatment paths that are ideal for their needs. While acupuncture can certainly be used alone, it’s often combined with physical therapy or other treatments for optimal benefits. April can even perform cupping, moxibustion, and manual manipulation therapies. By placing very fine needles on specific acupuncture points, April can help stimulate blood flow, relax tense muscles, and trigger the body’s release of pain-relieving and mood-stabilizing hormones. She uses acupuncture and related therapies to help patients who have chronic pain from temporomandibular joint disorder and tennis elbow as well as from back, knee and hip pain, among others. These alternative treatments can even help with digestive problems, migraines, anxiety disorder, insomnia, and allergies, to name a few. Patients of April appreciate her willingness to spend time learning about their specific health concerns and desired outcomes. She collaborates with the expert team at Peak Medical to ensure patients receive the comprehensive treatments and solutions they need in a worry-free, stress-free environment.